Sir Dudley Digges completed the building of Chilham Castle in 1616, on the site of a ruined castle, of which only the Keep remains. Out riding one day, he could have been attracted to the prominent bluff overlooking the Stour Valley and appreciated the sweeping views, as we do today. He terraced the land that fell steeply towards the west and it’s likely that he planted the sweet chestnut avenue in the park. 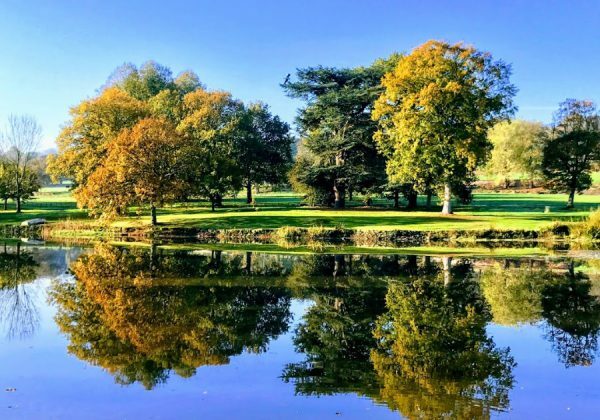 About 150 years later, owner Thomas Heron enlarged the park and redesigned the grounds with the help of Lancelot ‘Capability’ Brown. His only positive legacy here is the northern part of the ‘haha’ – a ditch, flanked by a brick wall, which kept livestock contained in the park away from the house without fencing and without interrupting the view. About 100 years later, Charles Stewart Hardy, the castle’s owner from 1867 to 1914, devoted considerable energy and cash to the park and garden. An early project, between 1869 and 1872, was the creation of the lake, with a horse-pump for water from the river. Through his long period in charge, Hardy planted thousands of trees – his team helped, for a while, by a young elephant brought from Sri Lanka. Elsewhere on the site, the south avenue was lengthened, J B Wildman’s terrace topiary was restructured and the adjoining bowling green was opened to the park. More prominently, on the forecourt of the house, Hardy laid out a plantation, screening from view, his father’s service-wing and the medieval keep. The brick terraces on the south side of the house date back to the 17th Century, sculpted from the steep banks which formed the castle’s earlier defences. The top terrace border has been reduced in width for a wider lawn. The wall trained fig trees and topiaries date back to the 1920’s. 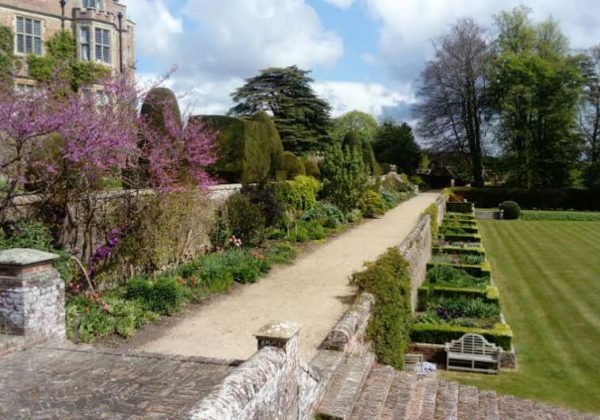 Down the stone staircase is the middle terrace, Chilham Castle’s main attraction, featuring a wide variety of herbaceous, sub-tropical and architectural plants. Moving into the shadier end, the colours become more subtle, showing a range of pastel hues. Down the final set of steps to the lower terrace, the planting is colour themed. 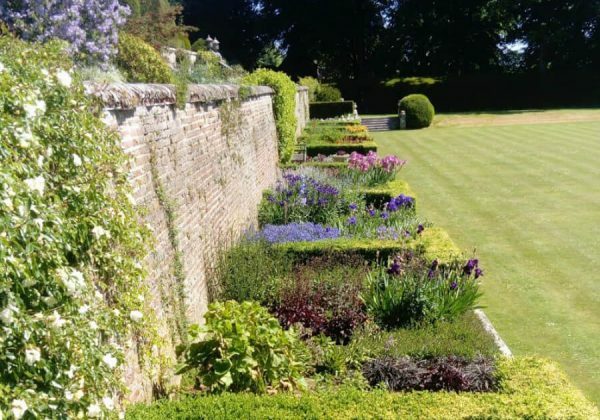 Each box hedged section showcases flowers and foliage of a single colour, from white at the Quiet Garden end, through yellow, orange and red, to deep purple at the far end. Various climbing plants are now being trained to cover the wall behind. 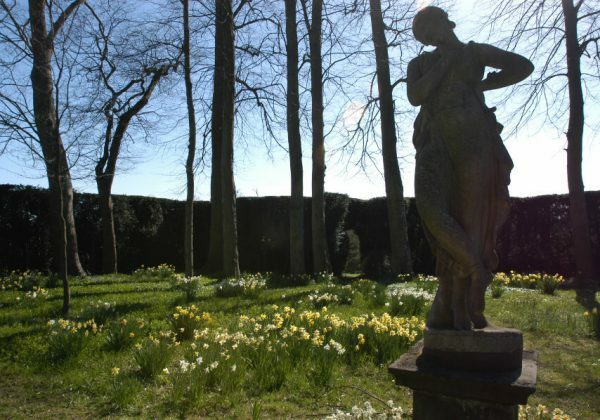 The topiaries and Irish Yew across the lawn were originally planted in the 1850’s. When the topiaries were young, they were all cut into identical tiers but over many years of mixed attention each has developed into it’s own shape and form. Careful, yearly pruning has allowed the ‘wedding cake’ style to gradually reassert itself but they still remain distinct individuals. The Lake is under constant development. 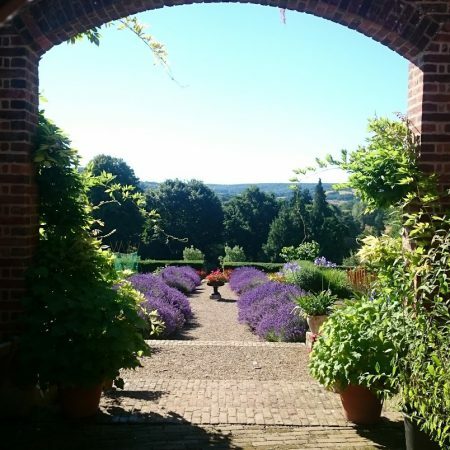 From the introduction of unique and interesting tree specimens to extensive landscaping of the rockery area and the encouragement of wild flower meadows. The banks of the lake itself are also undergoing change. Intensive clearing, reconstruction and reinforcement projects have all been undertaken in recent years. In 2007, we cleared trees and shrubs on the north side creating a better view of the lake from the house and restored the iron park fence. New specimen trees are being introduced annually. At the front of the house is a notable cedar, damaged on one side in the 1987 storm. Once an avenue of limes ran from the front door to the gate, but many were also lost in the storm. Now it is maintained as a wide circular lawn ringed by a long grassy meadow and plays regular host to village and school fairs. 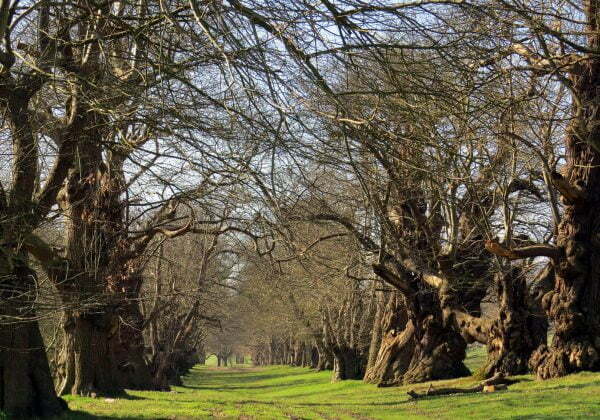 The dips and hollows that remain are testament to the wise old trees that once stood as noble sentries to the grand estate! A secluded woodland oasis surrounded by yew hedges, is an unusual feature. Early 18th Century records show a wilderness garden, planted with hornbeam. In spring, this garden is awash with early colour from snowdrops, through daffodils and white aconites to bluebells and snakeshead fritillarias. 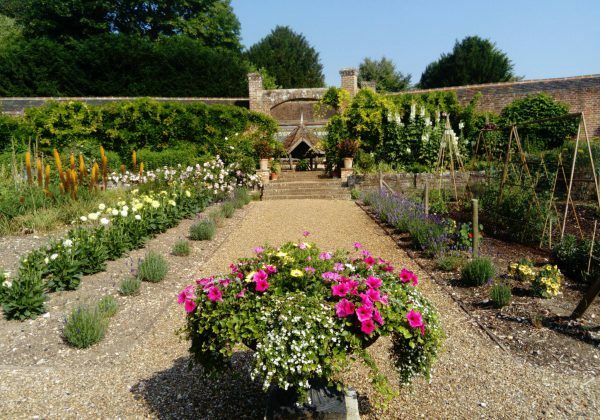 Was restored from a 1960’s rose garden, this is now a functional part of the estate, supplying fruit, vegetables and flowers for the house. We are blessed with two ancient mulberry trees that still produce abundant fruit in September. 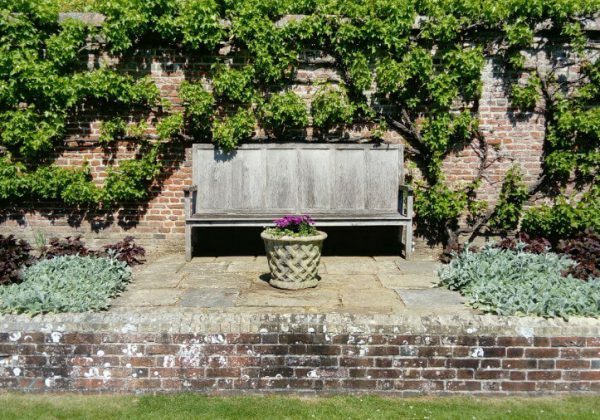 If you would like to visit the beautiful gardens at Chilham Castle, please see the Garden Opens Days page for opening times.